Fun way to display Pilgrims...on the Mayflower! 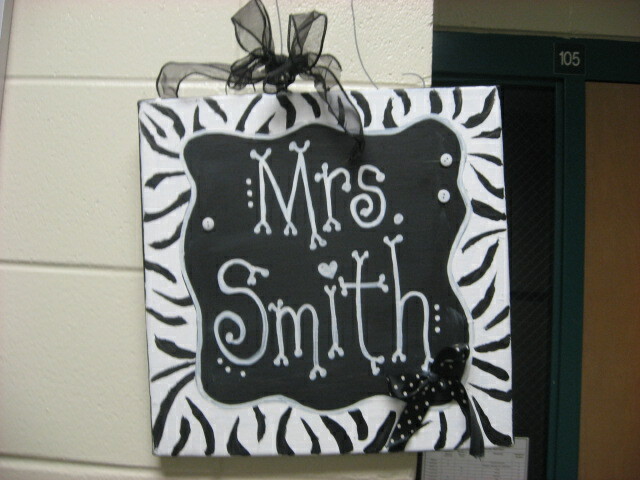 poster frame to make a class composite! show in the pictures, but it looks cute!! of years ago. I LOVE it!! 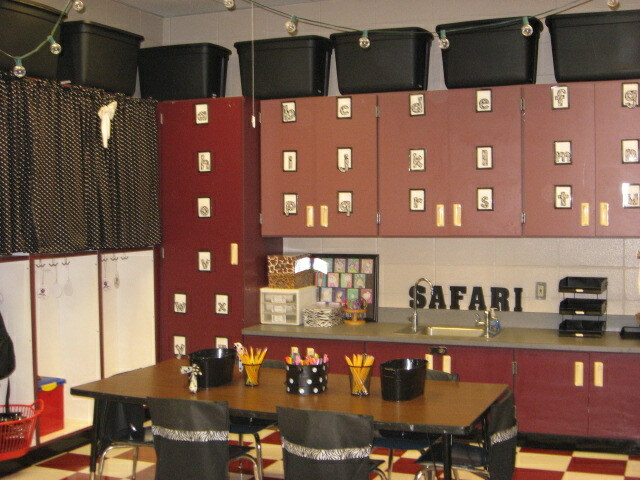 the Reading Coach, Principal, and other adults can use them when they visit our room. 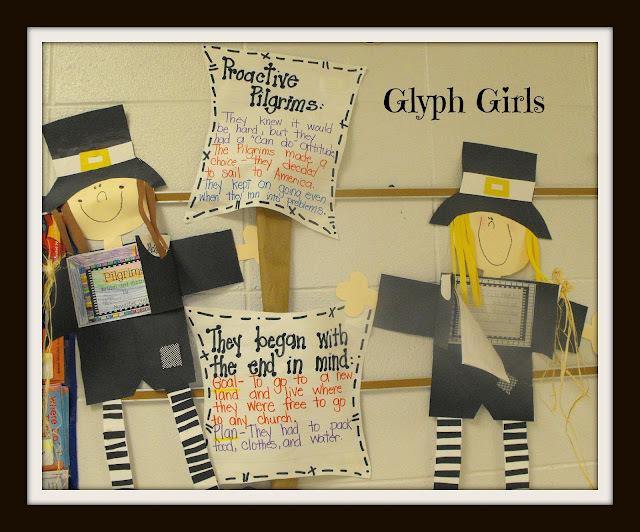 The kids go nuts when they hear them use one of their words! Here's the view from the door. 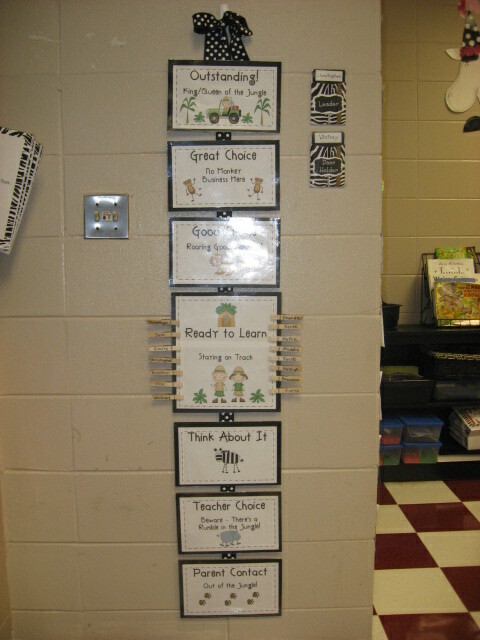 This is the Clip Chart Behavior System that I use. 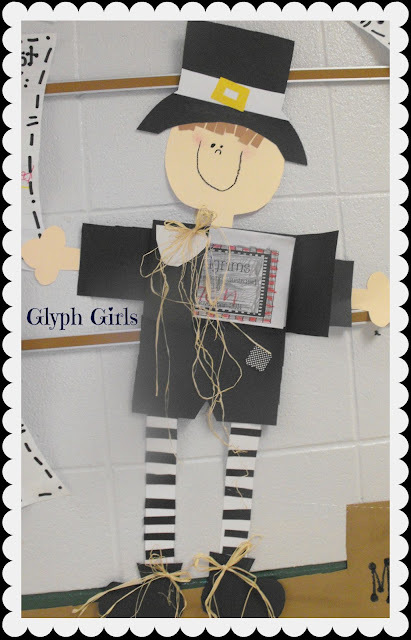 The students LOVE to move their clothespin up. They try to reach the top so they can be King or Queen of the Jungle! Angela made the Tooth Fairy for me. I have zero artistic ability. The pocket contains big white teeth. 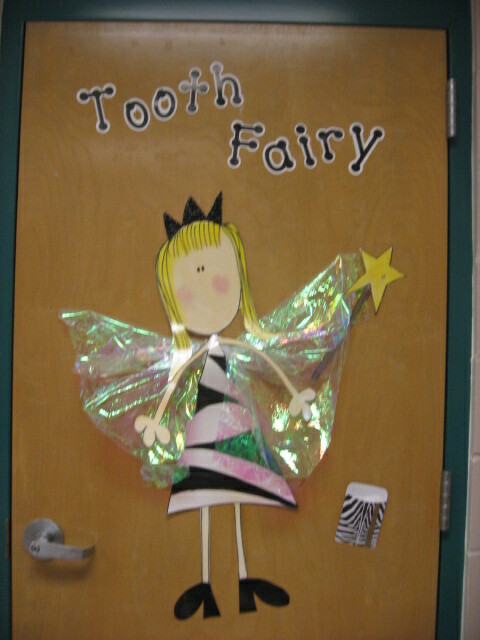 When a student looses a tooth they get to put their name and the date on a tooth and tape it to the door. 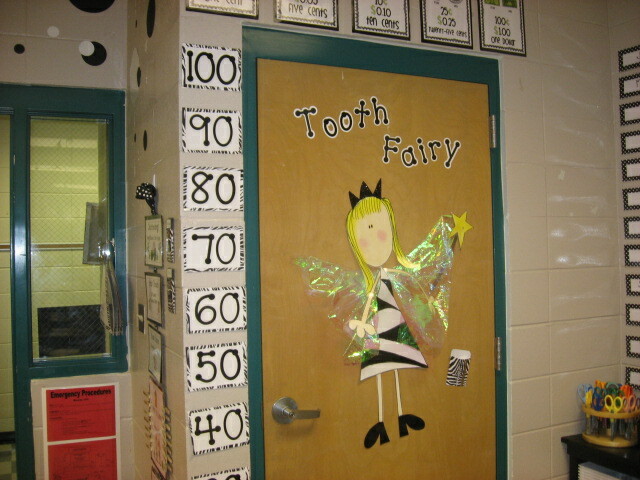 By the end of the year the door is covered with teeth! We have a restroom in our classroom, which is great! 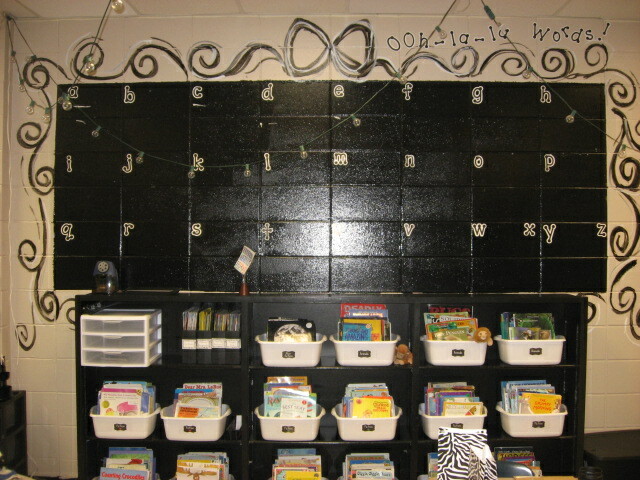 This is our class library with our Vocabulary Word Wall above it. I use Fancy Nancy to introduce vocabulary. 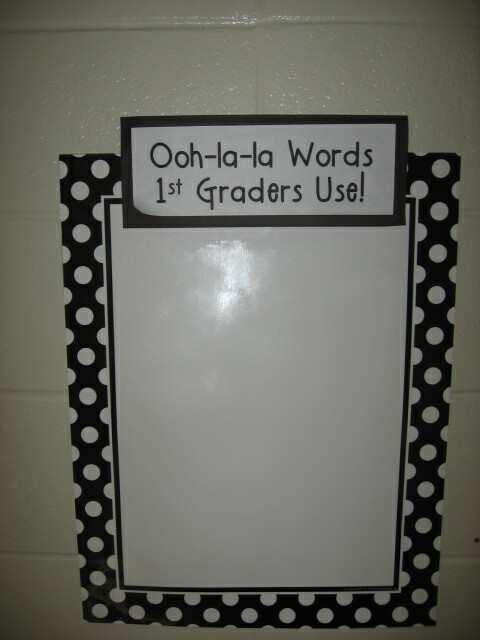 Then we post our Ooh-la-la Words on the wall throughout the year, and put a shiny sticker on the word each time we use it. 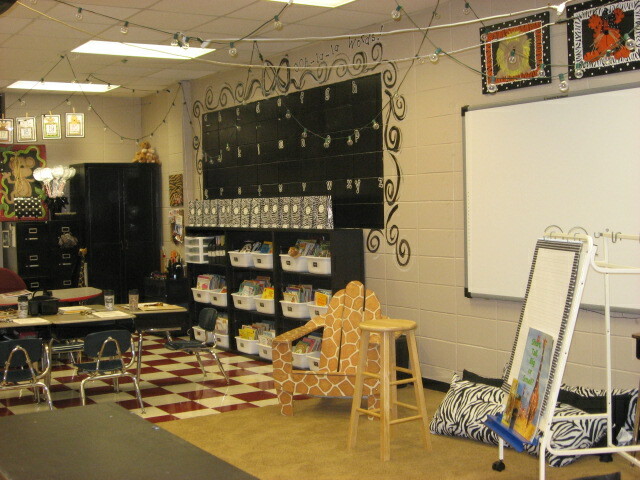 Here's our Interwrite board and class meeting area. I love my giraffe adirondack chair! It used to be in my daughter's room at home. 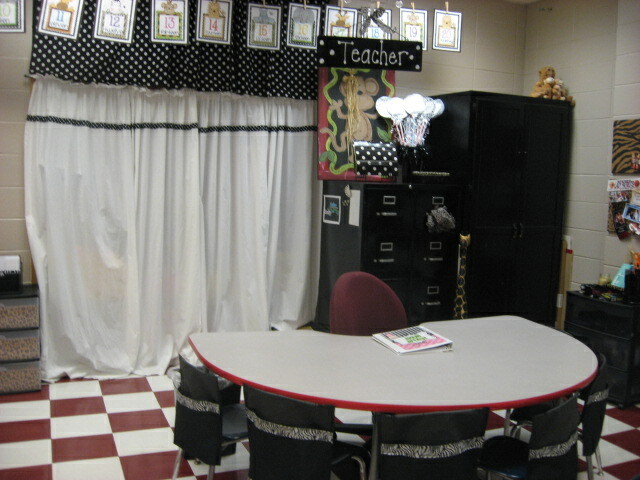 The kids love to sit and read in it. 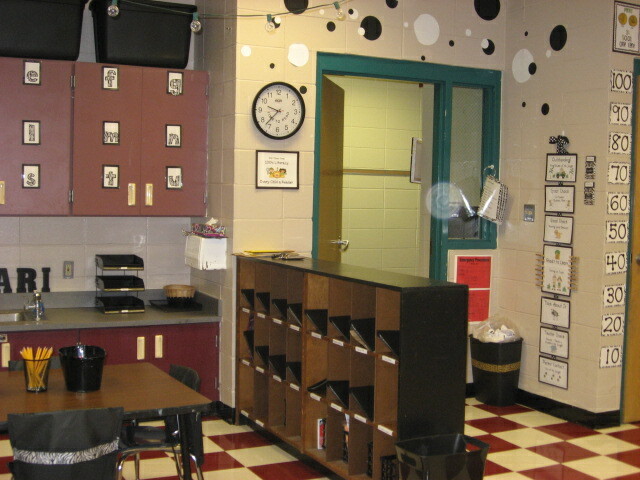 Math manipulatives are stored in this bookcase. 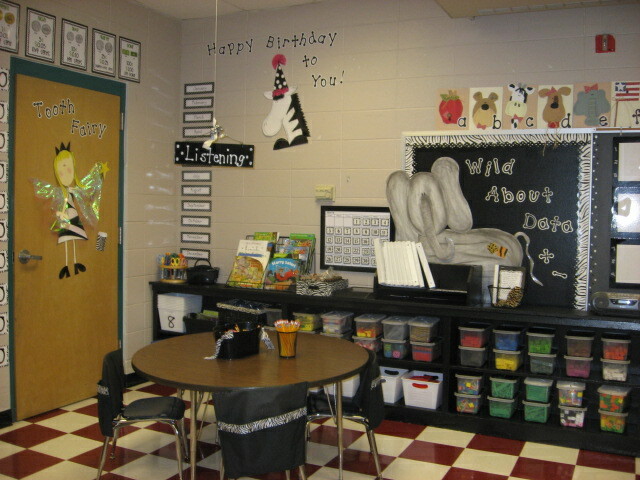 We are ready to graph our birthdays on the wall. 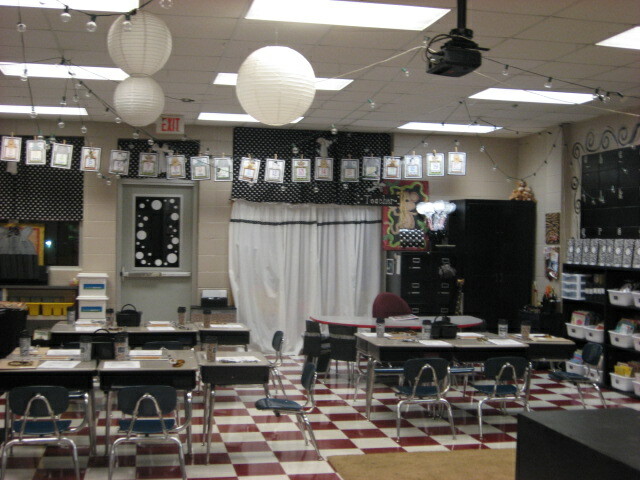 The round table is used during Reading and Math stations. 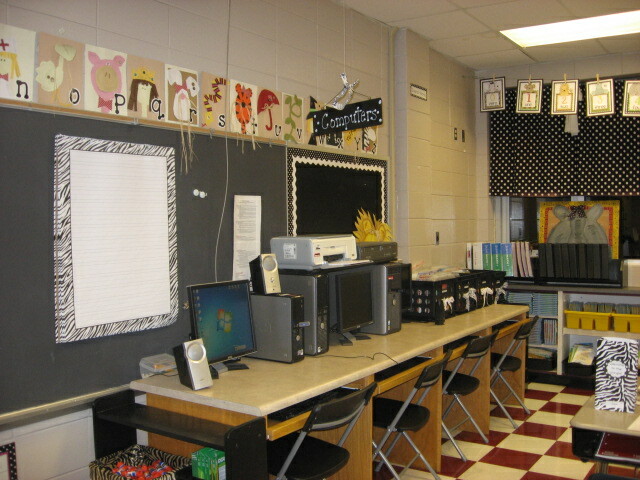 This is a view of our computer area. 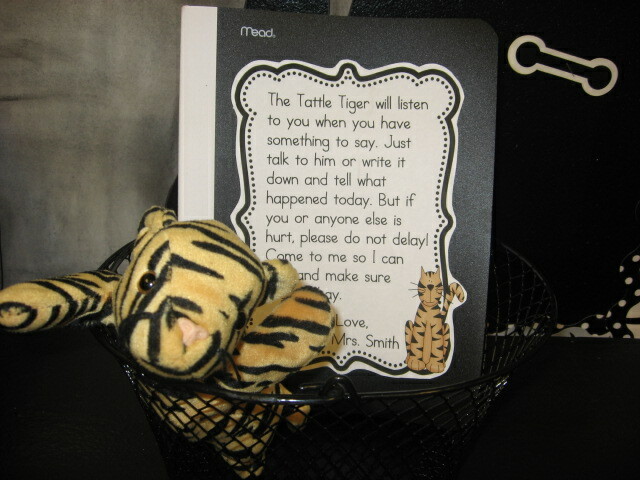 Decided to try a Tattle Notebook this year. After browsing around on Pinterest, here's what I came up with. 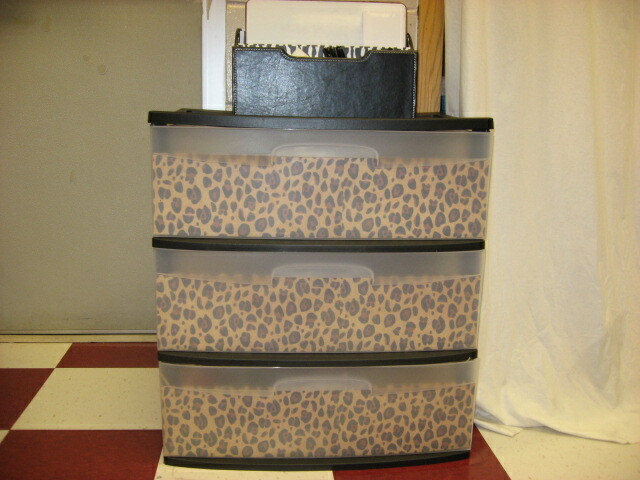 I used scrapbook paper to improve the look of my sterilite drawers (another Pinterest idea). Easy and Cheap! 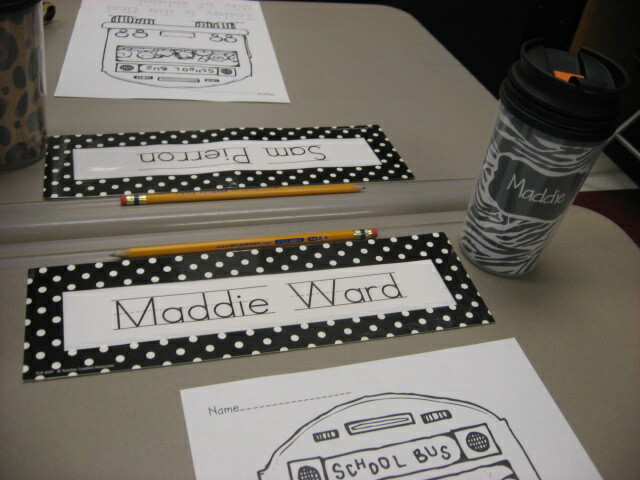 I found these cool "Design Your Own" travel cups at Dollar Tree this summer! 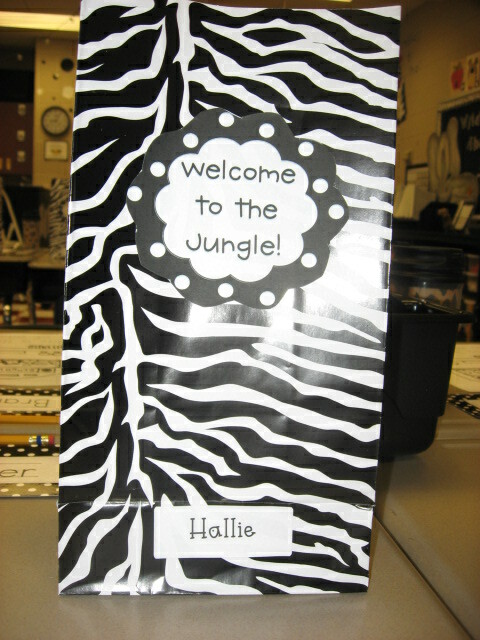 I inserted jungle design scrapbook paper inside and made a water cup for each student. 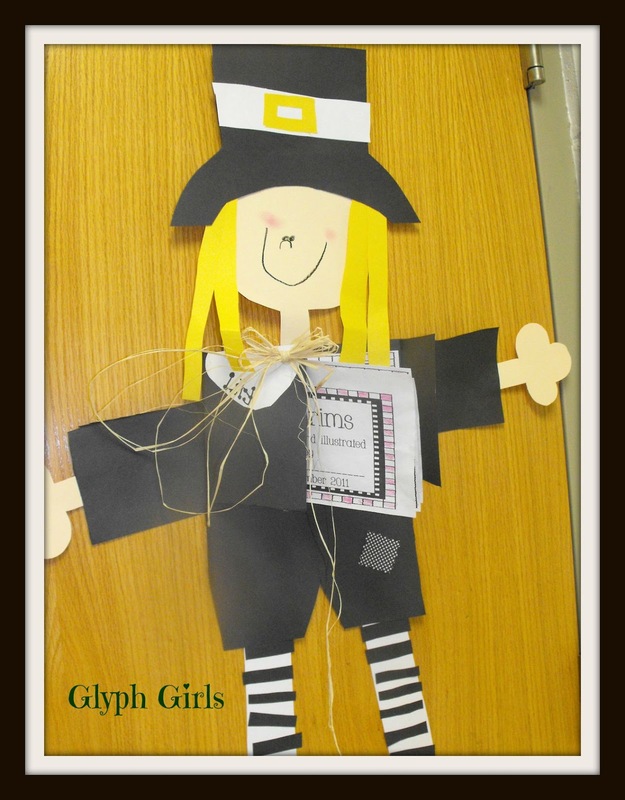 They look great and the kids adore them! Hope I can find them next year, too. 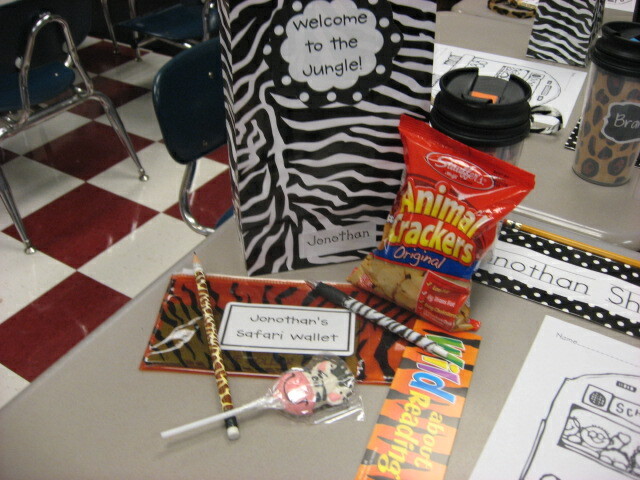 Welcome bags for the first day of school! Nametags are ready! I made them with clipart from Scrappin' Doodles. 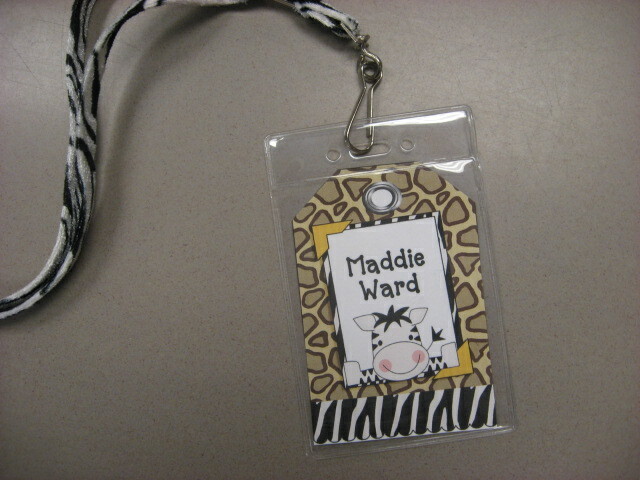 The jungle print lanyards came from Oriental Trading. I put the students' lunch numbers on the back and they wear them to lunch for the first couple of days until they know their number. Birthday Bucket!! 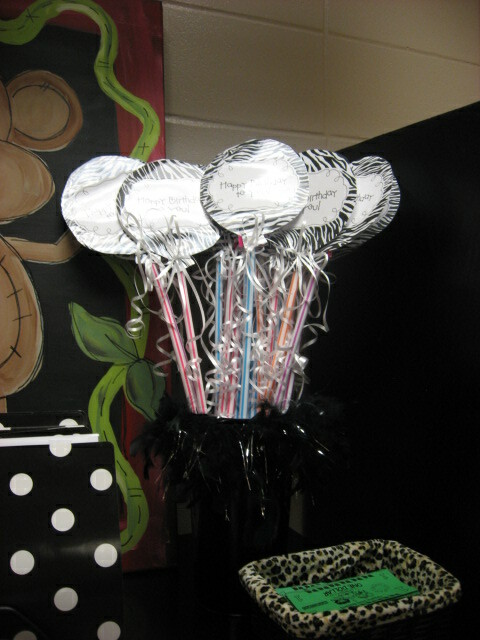 Pixie Stick Birthday "balloons" are ready for each student's birthday gift. 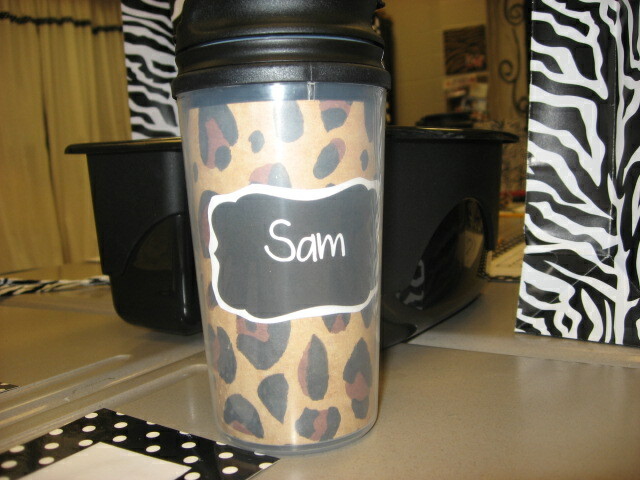 Thanks Pinterest and all you creative teachers out there for the idea! Thanks for stopping by! Hope you have the best year EvEr!! Ready or not... here they come! 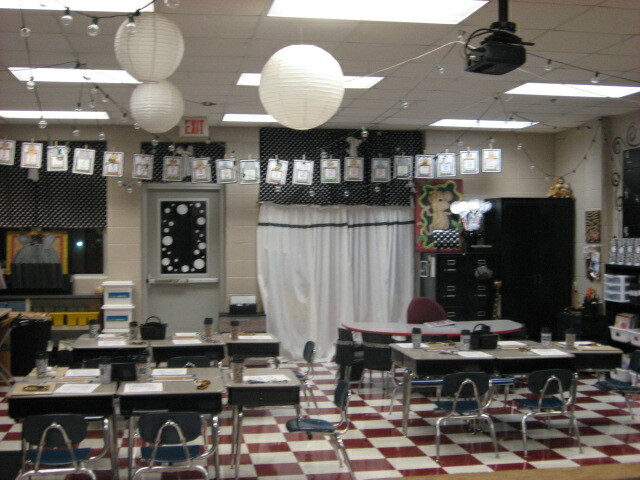 I will add the title , headings and information about castles during a nonfiction text lesson! When they leave the room! The first fairy tale we are going to do is the Princess and the Pea! We have lots of versions to read and compare! You can see last year's royal family composite to the right. This is going to be a time line of the year! I will post photos of all our adventures! 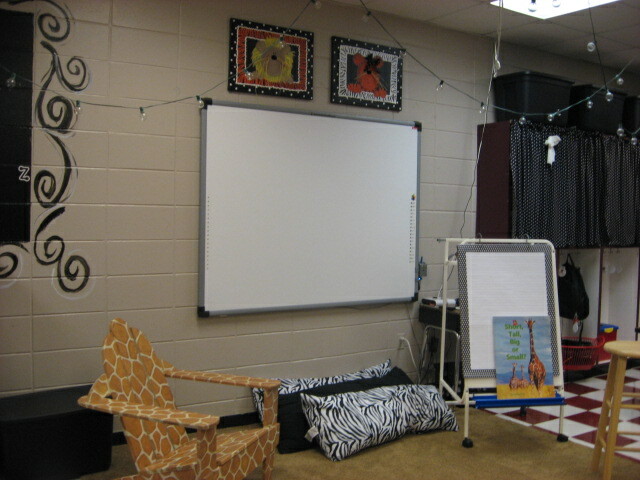 We are going to hang our SMART goal stars here! 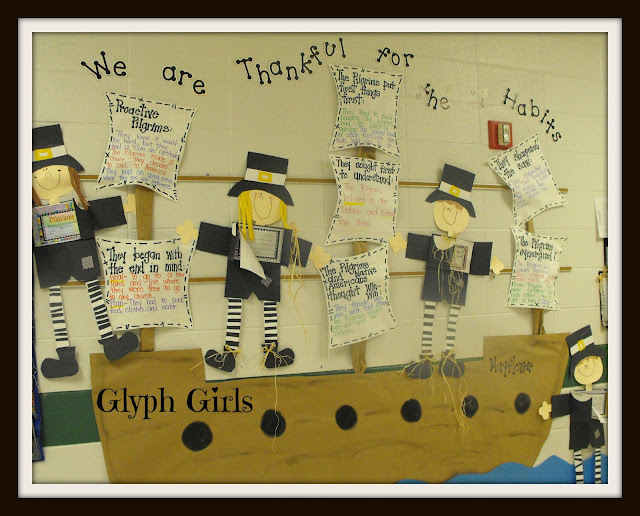 For our anchor charts and work! Tinkerbell is in upper left for encouragement! the middle says........... Turn your can'ts into cans and your dreams into plans! 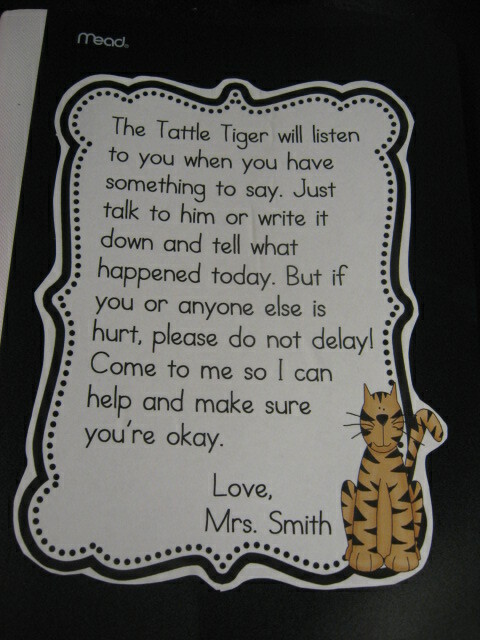 Fairy tale behavior chart.... and words for the writing station!